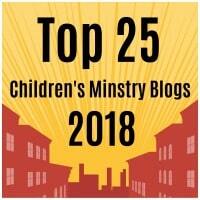 It’s been 10 years since we released our original ranking of children’s ministry blogs – time flies! That humble list was a fun way to recognize all the people making connections online and sharing ideas. We made regular updates (2009, 2010, 2011, 2013, 2015) but soon couldn’t keep up with the changes taking place. We skipped the 2017 update with heavy hearts – it felt like Pinterest and Facebook were taking over the world. This is our largest and most ambitious ranking of blogs to date. I hope you will enjoy this list and share it far and wide. We dug deeper to find those missing gems and cut back on many sites that have gone offline. I reviewed over 200 websites for inclusion – scroll down past the list to see my criteria. Please visit as many of these bloggers as possible and tell them that you appreciate their work! This post features the those amazing bloggers – we hope you will visit them all. Please don’t hesitate to leave a comment about your favorite (or even to dispute my rankings). This is all about fun and encouraging our ministry peers who share ideas freely online. If you made the list, don’t forget to grab your badge. We also have the a higher resolution JPEG for the Top 25 and Top 150. First, I’ll highlight the top 25 of the list, be sure to scroll down and visit all the excellent websites who made our rankings. The “Link Rank” and “Social Media Rank” were two of our key filters when making the score composite. Lower numbers are higher rankings.